Experience counts when it comes to the very best in home care. Daughterly Care’s expert In Home Care Managers, High Care Case Managers and Private Nurses case manage the very best in home care. Choose only the very best Private Nurses and Caregivers to provide safe and compassionate in home care for your parent or loved one. Daughterly Care enjoys an outstanding reputation and that’s why 73% of our new clients are referred to us by health professionals, Trustee Companies and most importantly, our existing private clients and their families. The other 27% of new clients have the good fortune to stumble across us. Daughterly Care has been providing Consumer Directed Care for private care clients for over 21 years. We have earned a reputation for providing compassionate, professional and kind Caregivers trained to support people living with forgetfulness, memory loss and dementia. In addition, we also provide many hours of private nursing and aged care for frail Elders and people with disAbilities. This is why our Case Management really makes a difference to the quality of the private in home care we provide. Our 200 Private Nurses and Caregivers are Dementia and Elder Care specialists. Importantly, our Caregivers are supported by a team of High Care Case Managers, Registered Private Nurses & Care Managers committed to providing a high quality service for our clients, their families and giving strong support to our Caregivers. Over 7,100 families have trusted us to care for their loved ones so take advantage of our Confidential Free In Home Consultation to discuss your care alternatives and the best outcome for your family. We listen like daughters. 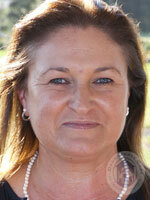 Verlie Hall, Registered Nurse, Co-Founder, Managing Director. Verlie is a Registered Nurse with over 25 years’ experience caring for people who are frail, aged, have disabilities or dementia. We have a team of 10 Registered Nurses to assist in our clients’ care. Verlie was formerly employed by Sydney’s leading Dementia Day Care Centre – the Tom O’Neill Centre at North Sydney as an Enrolled Nurse, In-home Community Worker and Diversional Therapist. Verlie has co-owned Daughterly Care for over 21 years. Verlie was awarded Enrolled Nurse of the Year in 1992. Read more about Verlie’s experience working in hospitals and nursing homes here. 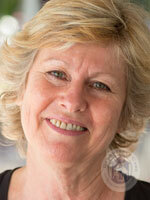 Verlie is an Accredited Aged Care Montessorian & Daughterly Care Montessori Trainer. Jenny Smith, Master of Social Work, Registered Nurse, Advanced Diploma in Mental Health Nursing. 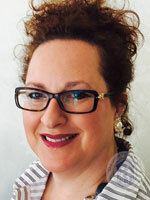 Jenny has over 21 years’ aged care experience; 6 years as a Co-ordinator for Home Care Service of NSW. 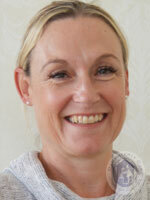 Jenny has a Masters Degree in Social Work, is a Registered Nurse and has an Advanced Diploma in Mental Health Nursing. Jenny has a special interest in dementia/delirium as well as palliative care. 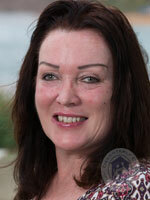 Charmayne has over 5 years’ experience working in aged care. In her previous position, Charmayne was employed as a Registered Nurse at the Mater Hospital Sydney. As an advocate for older people Charmayne is passionate in the promotion of healthcare in their own home – where they prefer to stay. Helen is a Registered Nurse with over 25 years experience, working primarily at Royal Prince Alfred Hospital (RPA) in Oncology / Palliative Care followed by a senior position in Hypertension at Royal North Shore Hospital (RNSH). Helen has extensive experience in managing clients with complex health issues and has worked with “Hospital in the Home” for over 10 years. Penny is an Enrolled Nurse with over 30 years’ aged care experience who started her love for caring for Elders at the age of 14 working in a Nursing Home after school and on the weekend. She has worked 10 years as a Community Nurse looking after High Level Care clients with disabilities and 10 years as a Scrub Nurse, Anaesthetic Assistant and Recovery Nurse. Prior to joining Daughterly Care, Penny was the Admission Co-ordinator for Bupa Aged Care Services in Mosman. We have been fortunate to have Penny on our team since 2010. Penny enjoys enabling Elders to live their way, in their own home. Jean has over 44 years’ nursing and aged care experience, having started her Registered Nurse training when she was 16. Jean was also a Co-ordinator of the Wesley Gardens Dementia Day Centre at Belrose and Diversional Therapist at Tom O’Neill Dementia Day Care Centre. 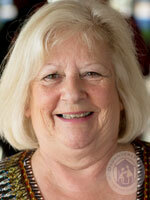 Jean has managed Live In care clients for Daughterly Care for over 21 years. She is passionate about our Elders living with dignity and being heard. 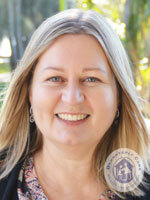 Suzanne has been an Enrolled Nurse for 30 years and has worked in aged care residential settings for 10 years. While her 7 years in Parramatta as a Community Nurse working with chronic and complex care clients and Northern Sydney Home Nursing was very fulfilling, Suzanne is now happy to be helping the Elders of our community to retain their dignity and independence with the In Home Care that Daughterly Care provides. 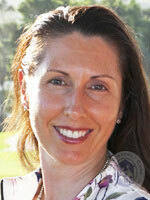 Suzanne is highly experienced with complex difficult to heal wounds. 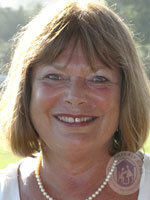 Ann trained as a Registered Nurse in the UK and worked in both hospitals and nursing homes for over 10 years. Following further study, Ann moved into Community Services within Local Government working as a Family Day Care Co-ordinator for 19 years. She joined Daughterly Care in 2015 as a caregiver and transitioned to her current role in 2019 bringing an extensive variety of experience and skills. Prior to joining Daughterly Care, Lisa worked in child care for over 11 years and in financial services for 5 years. She has been a business owner in the retail and service sector on the Northern Beaches so her face may be familiar to you. Lisa has a genuine desire to provide great service to the community and is excited at being able to bring her many skills to the Aged Care industry. Rose holds a Certificate lll in Community Care and a Certificate lV in Disability Services. 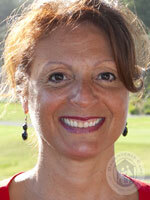 Rose has completed a Business Administration Medical Course and has worked in Pathology for 7 years. Prior to commencing with Daughterly Care Rose worked as an Assistant in Nursing (AIN) for the Red Cross Blood Bank for 3 years and has 8 years’ experience in aged care work. Rose occasionally provides in home care to some of our most complex high need clients. Eleanor has worked in disabilities with the ‘House with No Steps’. In addition, she gained Elder care experience having taken care of her elderly Mother. This exposed her to general elder care tasks and the knowledge of the importance of service, strength and patience when caring for others. It was during this time Eleanor decided she would like to work in aged care. Joining the Daughterly Care team enables her to focus her energy and compassionate nature to provide high quality care to Elderly people. 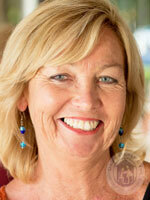 Jill has over 10 years’ experience working in aged care on the Northern Beaches and Lower North Shore. Jill holds a Diploma of Community Services in Case Management, and has worked as a Case Manager for HCP clients, a High Care Coordinator and scheduler of services, and in office administration. 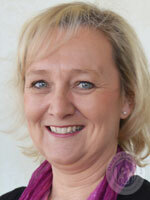 Jill enjoys assisting clients and their families to achieve the best of care in their own home. 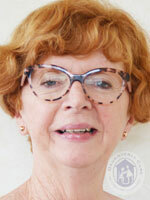 Ros has over 30 years’ experience in secretarial /administration. She has great empathy and an excellent understanding of the needs of older people in our community. In her role as Recruitment Manager, Ros assesses and selects only the highest quality Private Nurses and Caregivers to support our clients. Robin has over 25 years’ aged care experience supporting Elders, especially people living with dementia and also spinal cord injury. She has used her Diploma of Reflexology, Massage Therapies and Meditation, and also Holistic Counselling skills for over seventeen years in private practice including four years with Paraquad Australia. 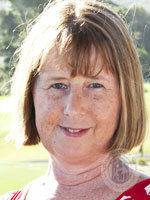 Robin continues to work as a Caregiver with Daughterly Care as well as managing Mosman Advice Centre. Robin has a Certificate IV in Training and Assessment and educates Daughterly Care Caregivers working in the Mosman area. Robin presents seminars at the Mosman Aged Care Advice Centre in Mosman on Sydney’s Lower North Shore, sharing strategies with families on how to care for loved ones living with dementia. She also gives no-cost/no-obligation private consultations for those requiring one-on-one advice. She has worked in association with Daughterly Care since 2003. Robin is passionate about helping Elders to live their lives as they wish, in the comfort of their own homes. Robin is an extremely valuable resource for residents of Mosman and the surrounding Lower North Shore suburbs of Sydney. Robin can explain Consumer Directed Care to you, including reviewing your existing provider’s monthly statement and comment on the fees you are paying and how you can lower your fees and increase the number of hours of care that your Government Funded In Home Care Package pays for. A good starting point is to attend Robin’s free seminar that explains how you avoid the Nursing Home using your Consumer Directed Care Government Funding and the 9 new rights of Elders. Lucille has 10 years’ Caregiver experience specifically supporting people living with dementia. She has been a Dementia Coordinator with Catholic Health Care Services and managed a large Dementia & Frail Aged Day Centre for 3 years before becoming a Community Pastoral Carer and leading a Carers Support Group. 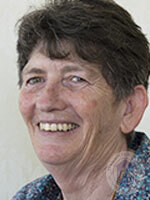 Lucille has a Diploma of Ageing and Pastoral Care and a Diploma of Community Services Coordination and has been with Daughterly Care since 2008. Lucille is a valuable resource in being able to refer you to Dementia Day Care Centres and a free counselling service if you are not coping with your caring role or suffering with grief. Nicole-Anne has a unique and extensive set of skills, which she brings to all Organisational Human Resources she has been associated with. Prior to joining the Aged Care Industry, Nicole-Anne worked for 2 ASX listed organisations, 5 years as a Business Analyst for IRESS, an International Organisation which provides financial services solutions and 10 years as a Compliance Auditor for Count Wealth Accountants. During the tenure of both roles compliance, regulation and industry change featured heavily and positioned Nicole-Anne with the skill set needed to move into the now and ever changing industry of Aged Care. With 4+ years’ experience as the Operations Manager, running all aspects in this role of Daughterly Care Community Services, this is uniquely supported via her post graduate qualifications such as her Master of Commerce, majoring in Management and Organisational Human Resources from the University of New South Wales (UNSW), Diploma of Financial Planning, Graduate Diploma of Financial Markets and is RG146 compliant. Nicole-Anne is currently enrolled at UNSW Business Research Management School, to complete her second Masters (Philosophy), which is the stepping stone to a PHD. However, her current enrolment with the University of Tasmania (UTAS), whereby she is half way through completing a Bachelor of Dementia Care via the Faculty of Health will give her further specialisation in this field. With her role as the Operations Manager and Director of Daughterly Care Community Services, she is responsible for overseeing the governance of the organisation. Nicole-Anne’s goal is to make a difference to the lives of individuals living with a dementia. 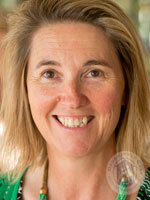 Nicole is an Accredited Aged Care Montessorian & Daughterly Care Montessori Trainer. Verlie is a Registered Nurse with over 25 years’ experience caring for people who have disabilities, are frail or live with memory loss or dementia. Verlie was formerly employed by one of Sydney’s leading Dementia Day Care Centres – The Tom O’Neill Centre at North Sydney as an Enrolled Nurse, In Home Community Worker and Diversional Therapist. Having worked in hospitals and Nursing Homes, Verlie believes it is best to remain in your own home as you age, because you remain the boss. 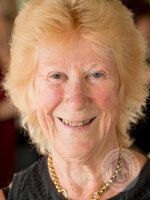 Verlie is an Accredited Aged Care Montessorian & Daughterly Care Montessori Trainer. Verlie co-founded and has co-owned Daughterly Care for over 21 years. Kylie, known to friends and colleagues as Kate for the last 25 years, was Deputy Managing Director of Count Wealth Accountants for over 13 years prior to joining Daughterly Care in January 2004. She retired from Count after it was listed on the ASX. Kylie was responsible for the Reserve Bank Reporting for HongkongBank Australia and has been an auditor for Ernst and Whinney (UK). Kylie, hereafter Kate, has the perfect skill-set to help Elders navigate through the financial aspects of their Home Care Package Consumer Directed Care. Due to her thorough understanding of the new Living Longer, Living better Reforms including the 1/7/2015 introduction of ‘Consumer Directed Care’, Kylie is well suited to assist her clients in achieving the best possible outcomes from their Government Subsidised In Home care. Kate was on the Board of the Australian Private Nurses Association in 2015 and 2016, is a member of COTA, ACiA, Australian Businesswomen’s Network and other associations. Kate is very proud that Daughterly Care is a highly sought out, highly regarded and highly recommended private care ‘provider of choice’ for In Home Care and Private Nurse services. Her Joyful Living Approach™ to care means Daughterly Care’s clients can live joyfully, their way, with dignity, independence and choice in their own private home. Kate is an accomplished presenter sought out for her in-depth knowledge about how to get the most from your Consumer Directed Government Subsidised In Home Care Package. Kate has also put helpful tips on negotiating the best value from your Home Care Package on this website. Need more information? To know more about us, read why we started Daughterly Care, and take a look at our services. Meet the stars of our business, our in home Caregivers and case managers and operations team.